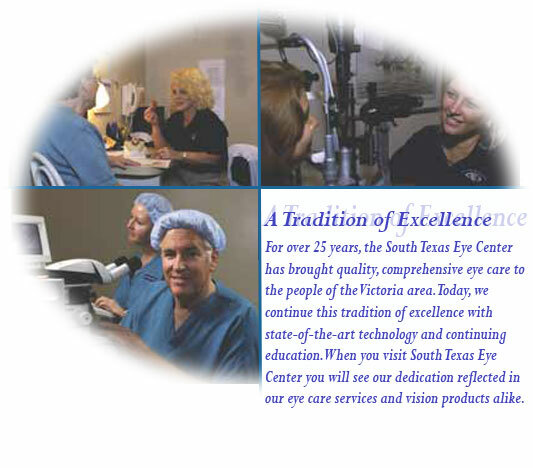 South Texas Eye Associates and Surgicenter has been serving Victoria and the Gulf Coast area for over twenty-five years. Our office is conveniently located in central Victoria and provides a warm and comfortable setting for our patients. Both examinations and surgical treatments have been performed in our facility for the past twenty years. During this time our Medicare-Approved ambulatory surgery center, solely dedicated to eye care, has been a model for other dedicated surgery centers throughout the State of Texas.